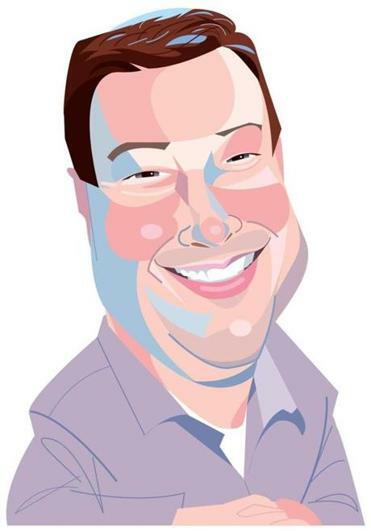 We can’t resist pointing out the irony of Mike Volpe’s new gig. A memory refresher: Volpe (right) was fired as HubSpot’s chief marketing officer last year after the Cambridge marketing software firm allegedly tried to block publication of a book — “Disrupted: My Misadventure in the Start-Up Bubble” by writer and former HubSpot employee Dan Lyons — that skewered its “frat-house-meets-cult-compound” culture. After allegations of extortion and e-mail hacking, the FBI and law firm Goodwin Procter investigated. No charges were filed, but Volpe was let go, CEO Brian Halligan was fined, and vice president Joe Chernov resigned. Now Volpe has landed another CMO position, this time at Cybereason, a Boston cybersecurity firm. In other words, the guy who lost his job over alleged hacked e-mails is now working for a company that tries to prevent hacked e-mails. One of Volpe’s goals at Cybereason is to start a cybersecurity podcast. “I’m a big believer that the best way to do marketing today is to create content and not do nearly as much advertising, because people tend to avoid and block out ads,” he says. A few cybersecurity podcasts already exist, including Security Nation, hosted by Kyle Flaherty of Boston-based Rapid7, but Volpe believes there is room for another. The issue of gender pay equity, and the lack thereof, has been getting a lot of attention recently — with everyone from Democratic presidential candidate Hillary Clinton to movie star Jennifer Lawrence weighing in — and that means more workers filing lawsuits, and more companies in need of legal help. The employment law firm Fisher Phillips recently started a practice group devoted to the issue, and one of the three national chairpersons, Cheryl Pinarchick, is based on Boston. Several states have recently passed laws promoting pay parity, including Massachusetts, which forbids employers from asking about a candidate’s salary history but also protects companies if they take steps to fix disparities. “I don’t think the fact that [Donald] Trump was elected is in any way going to quell this rising tide of equal pay claims that we’re seeing,” Pinarchick says. These state laws coincide with an upcoming Equal Employment Opportunity Commission requirement that large employers report pay data by race and gender. People filing lawsuits will be able to use this data to support their claims, Pinarchick notes. Jerod Mayo ’s involvement with Boston Medical Center has moved beyond the bowling alley and into the boardroom. The former New England Patriots linebacker is now the newest member of the hospital’s board of trustees, after joining the board in November. Norman Stein, BMC’s chief development officer, says hospital officials approached Mayo after he retired from the Pats earlier this year, to see if he would be willing to take on a bigger role with the hospital. Mayo and his wife, Chantel, have overseen the Mayo Bowl, an annual fund-raiser that draws active and retired Patriots players to the Kings bowling lanes in Dedham, since 2010. The Mayo Bowl has raised at least $1.7 million for BMC over that time. Mayo also has another connection to the health-care industry: He went to work for Optum, a division of Minnesota-based health insurance giant UnitedHealth Group, in the spring after his last season with the Pats. He is currently a vice president of business development at Optum. The owners of marketing agency CTP discovered a sure-fire way to boost traffic to their firm’s website: Feature nonprofit organizations on their home page. CTP has seen visits to the site triple during the past four weeks, compared to the same time in 2015, after the CTP partners — Fred Conover, Chip Tuttle, Grant Pace, and Brian Heffron — decided to essentially hand over their home page to 20 rotating nonprofits. They already held a party to celebrate their 20th anniversary. But they wanted to do something bigger.